After completing the DC system upgrade we added an Ample Power Diesel Genie. The Genie is described in more detail on another page on this site. 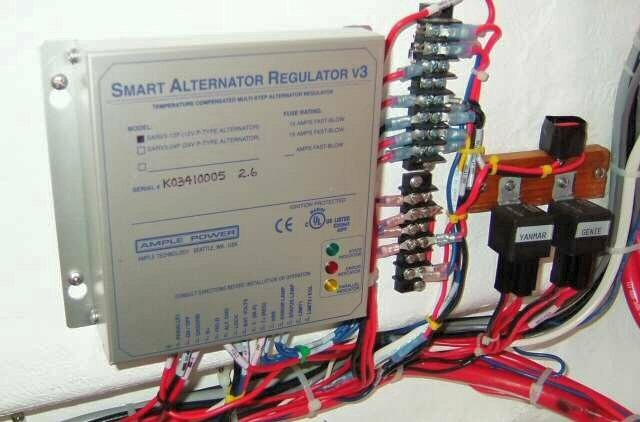 The Ample Power Smart Alternator Regulator V3 was part of the Genie purchase and it has been superb. The regulator interfaces directly with our Ample Power EMON-II H1 battery monitor and the two work together to insure that we have a fast efficient battery charge. The dual alternator control circuitry is shown to the right of the regulator. After installing the generator and the SAR-V3 I removed the regulator from the Amptech 125 amp alternator mounted on the Yanmar propulsion engine. 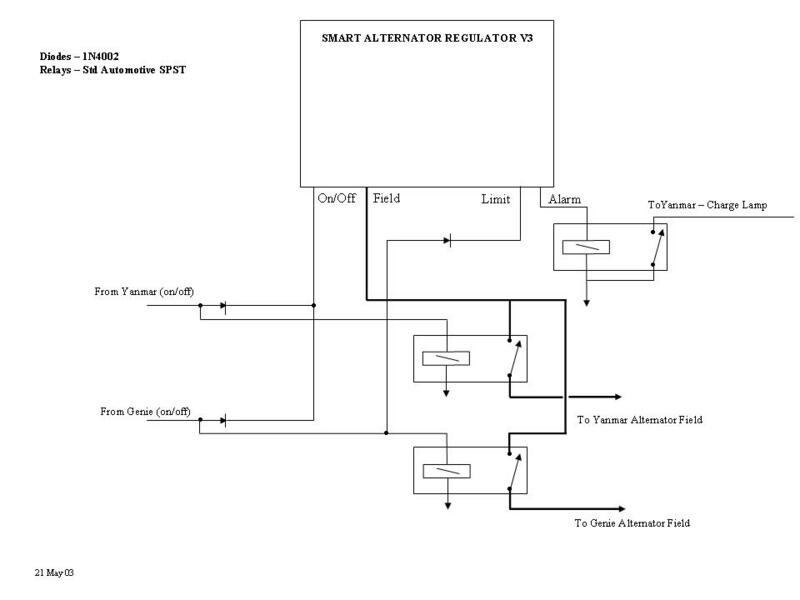 After wiring the circuit shown below, the SAR-V3 now controls whichever alternator is active – the Genie 175amp alternator or the Amptech 125amps engine alternator.